This Limited Run Mug Will Not Last Long. 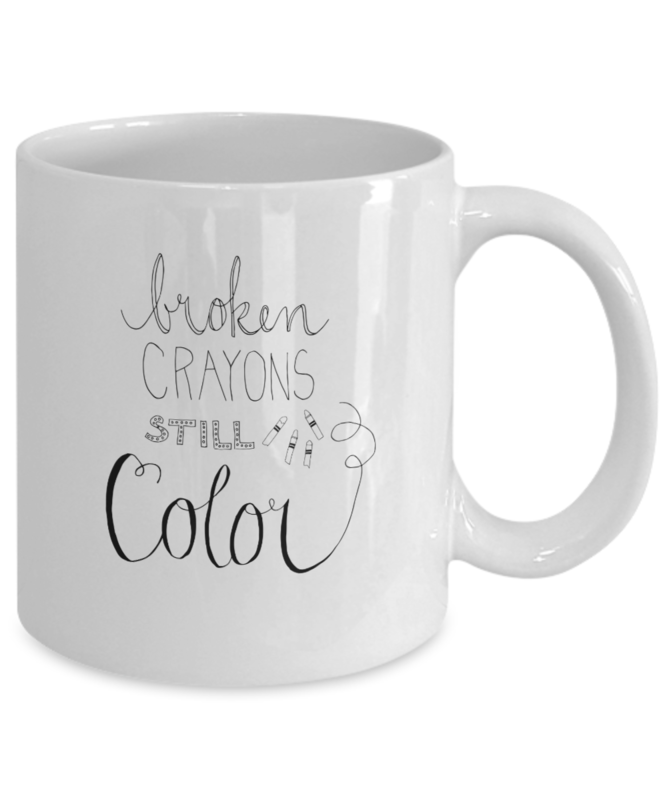 I love the message “Broken Colors Still Color” & ordered extra for gifts. The packaging of the mugs was literally like each mug is in a safe bubble. God sent this message to me in a pivotal time HALLELUJAH!!! God bless the vessel that gave birth to this life changing, inspiring, hopeful message!!! 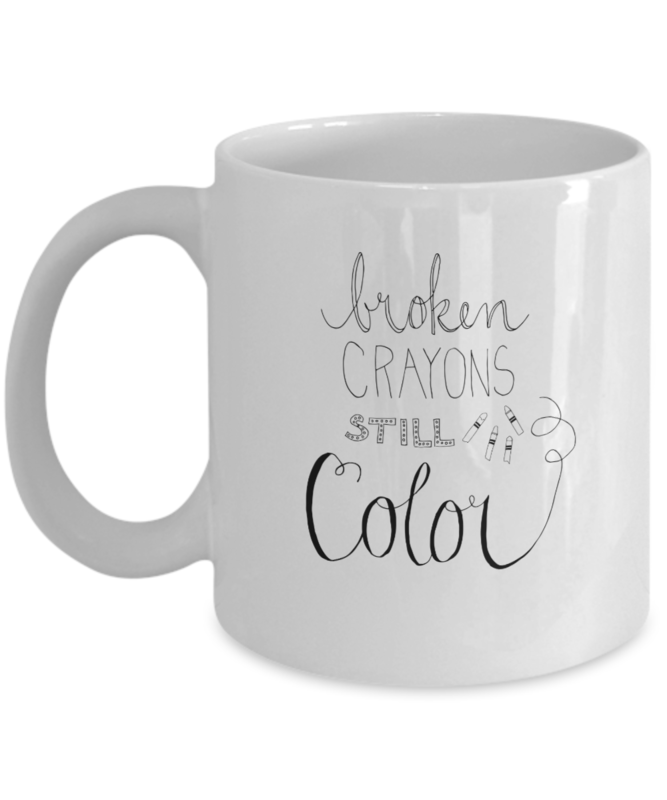 I am really pleased with the two Broken Crayons Still Color Coffee Mugs that I received today in the mail. I was so excited for the mugs to arrive so that I could start using them. I think I started checking my email every night to see where the mugs were at on the schedule for delivery to my mail box. I think that the mug and the book would make a great gift for anyone. I can't wait to share a cup of coffee with a friend using my new mugs. Love the mugs I ordered. I got them as Christmas gifts and one for myself. Thank you. Love my mug! Exactly what I ordered and arrived in a very timely manner. Very pleased with the service and product! I’m very pleased with my order. Delivery time was great, and I liked how it was packaged, as it is breakable. I’m likely to order again in the near future too.